Urethane Punch Strippers – Impact Resistant! Urethane punch strippers that are second to none in quality have been consistently manufactured at Plan Tech for over three decades and counting. 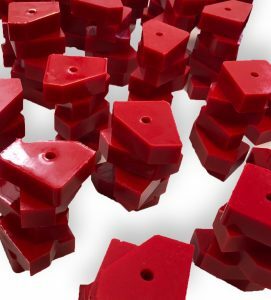 The consistency in the quality of our production has seen us become one of the biggest suppliers of urethane punch strippers in the industry. Our ability to maintain such consistency in quality is down to three key factors which are; our application of speed and precision, the exceptional technical expertise of our team of engineers and our state of the art in-house machine shop that is well equipped with of the best machineries in the world over. With our urethane punch strippers, you are guaranteed punch strippers that are capable of high holding pressure and neat striping of the blank from the punch. Our rubber punch strippers offer remarkable durability, heavy load-bearing capacities, resist fragmentation and are easy to use. The fact is our application of speed and precision ensures we are among the best volume manufacturers of standard and custom punch strippers in the world. Urethane punch strippers produced at Plan Tech offer impressive ability to resist abrasion, corrosion, grease, oil and harsh chemicals and they are also capable of withstanding harsh environmental conditions. The inactive or downtime of your company can cost you shortage in production as well as man-hours if you settle for anything less than a superior product material. So what exactly should you take into consideration when deciding what material to purchase? The following should help answer the above question. You can say goodbye to the issues of sound reduction and shock absorbing with Plan Tech urethane. You certainly can’t do the same with Silicon, UHMW, and Nylon due to the significant difference in their capabilities. Before you purchase any material, make sure it is capable of holding up extremely to tensile stress and has a high-performance tear strength as well as resistance to abrasion. You certainly wouldn’t find such capabilities in Silicon, UHMW and Nylon materials. But you can trust Plan Tech polyurethane products to offer such quality performance. Are you interested in cast Urethane Punch Strippers? Please Contact us so we can help solve your requirements and work with you on your specific application!